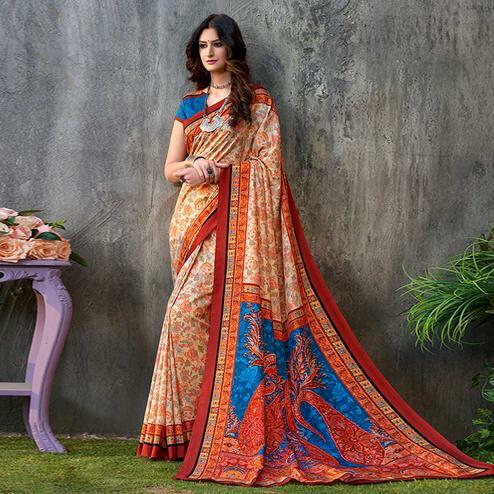 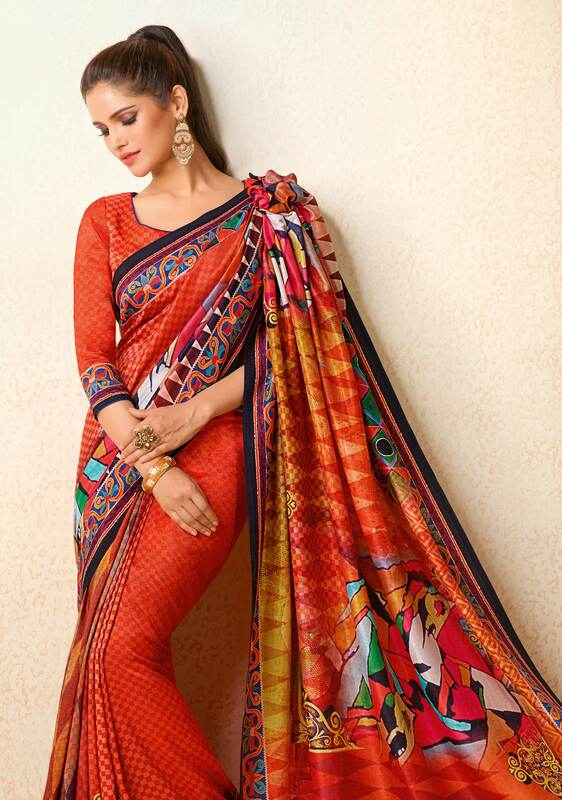 Look stylish and fashionable wearing this orange tussar silk saree adorned with fancy print work which is the main highlight of this saree. 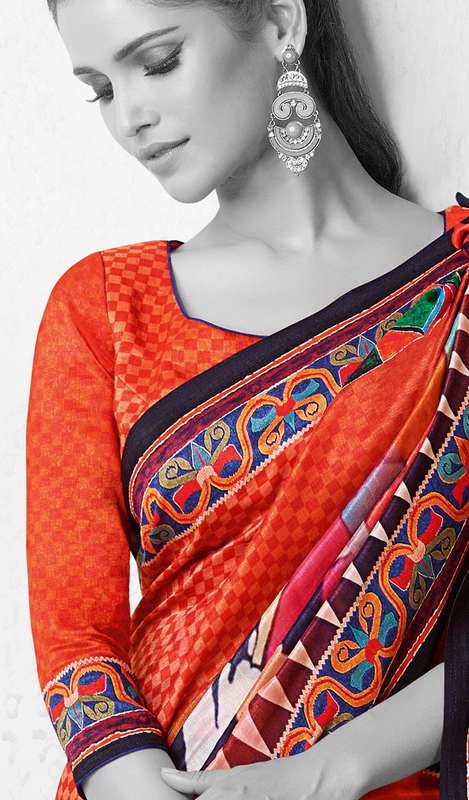 Saree paired with checkered design printed blouse piece having similar border. 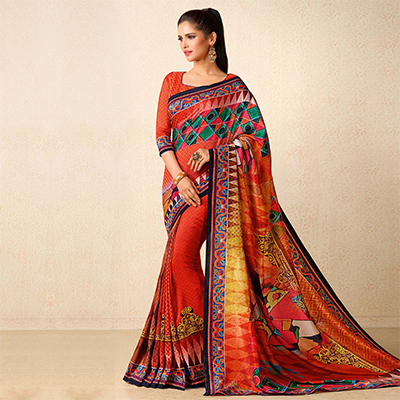 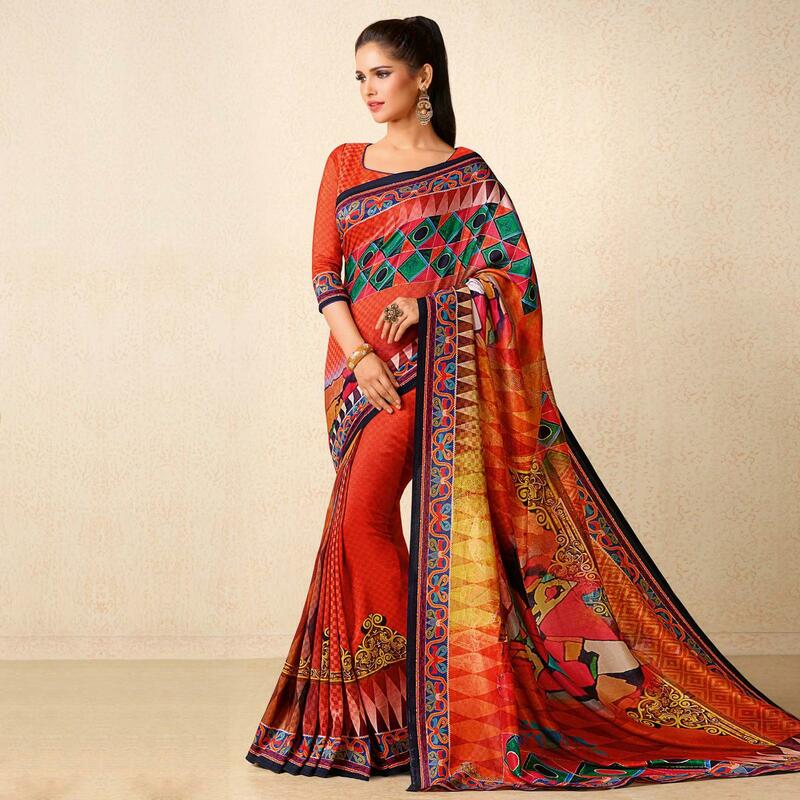 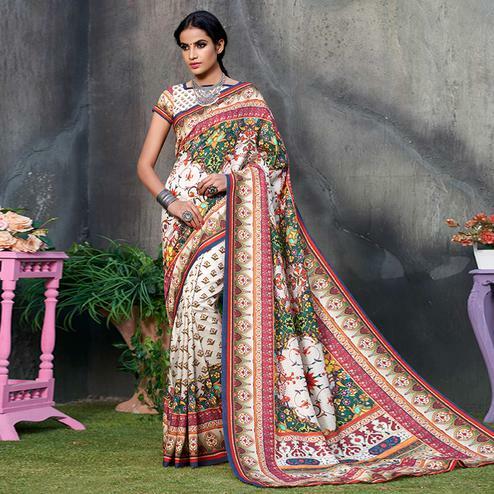 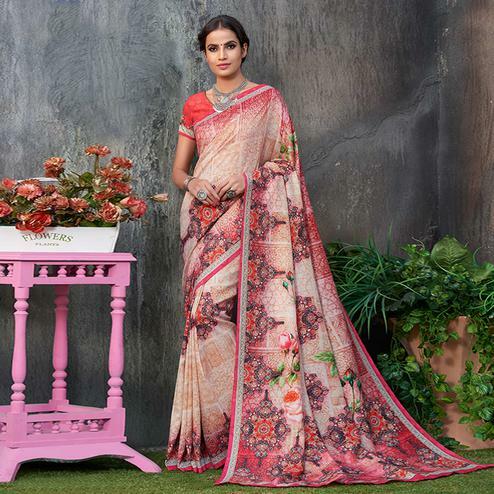 Wear this saree for your next casual outing and attract lots of compliments. 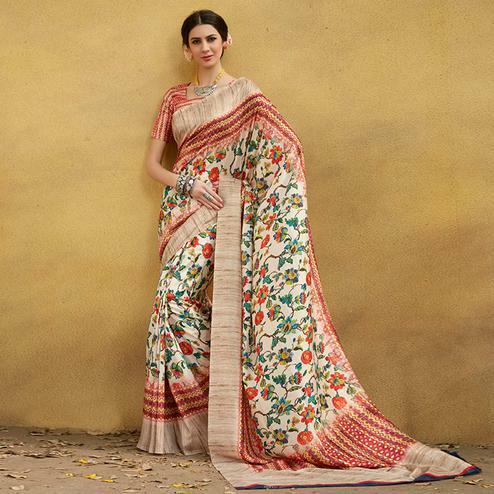 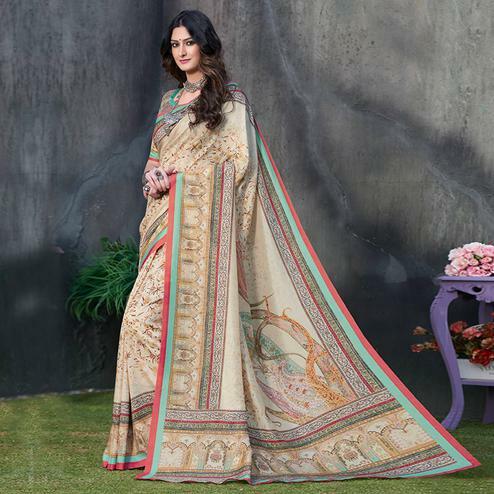 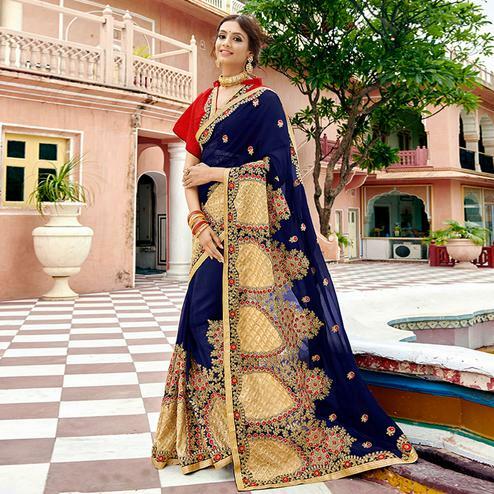 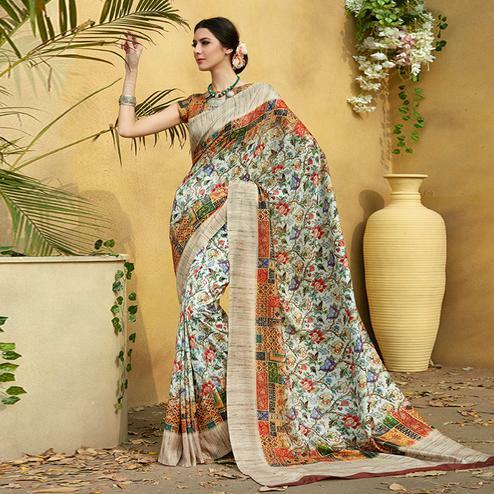 This saree is rare to find so get it now before it's gone.